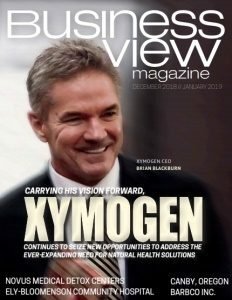 Business View Magazine interviews Jim Stachowiak, President of Stainless Foundry & Engineering Inc., as part of our focus on the investment casting industry. Stainless Foundry & Engineering Inc. (SFE) was originally established as a one-room sand casting foundry by John McBroom in 1946. Today, the company, which is headquartered on the northeast side of Milwaukee, Wisconsin, is a well-established and highly regarded manufacturer of raw and machined castings in both sand and investment. It offers corrosion-resistant, high heat, and wear resistant steel, stainless steel, and high alloy parts for the aerospace, marine, power generation, chemical, petrochemical, nuclear, pulp and paper, pharmaceutical, food and dairy, metering, valve, instrumentation, pollution abatement, and military markets, among others. In addition, SFE provides the manufacture of high precision complex parts; turning and milling machining services; metallurgy; and related engineering services. 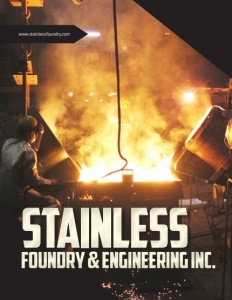 Jim Stachowiak, President of Stainless Foundry & Engineering , explains the company’s capabilities and what he believes gives it an advantage in a highly competitive sector: “When we look at our sand casting division, we’ve run castings anywhere from about five pounds to 2,200 pounds,” he begins. “We’re operating six furnaces with capacities ranging from 400 to 3,200 pounds. On the investment casting side, we can go from ounces up to about 200 pounds in castings. We’ve got 14 wax presses, fully-automated dip lines, and seven furnaces in the investment casting division ranging in capacity from 190 pounds up to 1,000 pounds. Having the various furnace sizes allows us to do custom specifications or custom alloy configurations. Galling is a form of wear caused by adhesion between sliding surfaces. When a material galls, some of it is pulled with the contacting surface, especially if there is a large amount of force compressing the surfaces together. Galling is most commonly found in metal surfaces that are in sliding contact with each other, so various alloys are often chosen for bearings, bushings, and other sliding applications because of their resistance to galling. Where product purity is important, ILLIUM Alloy 8 is a nickel-based alloy that provides excellent galling resistance and can be used in devices which have metal to metal contact and which require corrosion resistance to a wide variety of chemicals. “Ten percent of our customer base is international and it tends to be more of the unique alloys. So, we’re working to expand the use of that alloy with various customers where they could benefit from running much tighter tolerances or even running metal on metal to boost the performance of their products,” says Stachowiak. As is the case in many manufacturing sectors, one of Stainless Foundry & Engineering ’s current challenges is finding highly skilled technical and process engineering people to support the business. “We’re also having some trouble in terms of skilled pattern mold makers and welders,” Stachowiak adds. “It’s a very tight labor market. Like many companies, we’re seeing an aging workforce and we’re planning for a lot of retirements over the next five years. There’s not a huge pool to pull from, so we started reaching out to local high schools, community colleges and outreach programs to help educate the youth. “Last year, we started a youth apprenticeship program; we started with three high school students that are working with us on a part-time basis while they’re still going to school to help expand and increase those capabilities. We’ve decided that, in today’s market, we need to take on that training and provide that skill set. Another example is a program we started a number of years ago – we took a designer who went to two years of tech school to be a CAD designer. We brought her into the business; we sent her out for some additional classes; we did some hands-on learning here in the foundry; and over the course of about three or four years, she worked her way up to being a foundry engineer in our investment foundry. WHO: Stainless Foundry & Engineering Inc.
InspecTech Corp. is committed to being the best value in NDT, offering our customers the highest standards of quality with consistent fair pricing. This policy has enabled the foundry industry to secure lasting accounts using InspecTech Corp. as their partner in non-destructive testing. With inspection labs strategically placed around the country our team of level 3 technicians provide superior service in magnetic particle inspection, liquid penetrant inspection and x-ray/digital radiography or computed radiography.